It can be rightfully said that prison ministry goes back before mid-20th century, and beyond; at the same time it continues to the present day. Historically, in an effort to thwart a growing conversion to Islam among disenfranchised "Negroes" in the growing Midwest - particularly Chicago and Detroit - government forces carted off Elijah Muhammad and his male followers to jail, accused of "evading the draft", even though at the time he was well beyond draft age. Though his wife and other women worked hard to keep the Muslim schools alive, the plan against the "Lost-Found Nation of Islam in the Wilderness of North America" backfired because the men began teaching and converting other inmates. By the time they returned, the Muslim population outside of prison had grown by leaps and bounds. One of the most successful conversions was that of Malcolm Little, a notorious inmate who was eager to come out of prison and be of service to the Honorable Elijah Muhammad. Rising quickly to notoriety as Malcolm X, he became a beacon to many inmates and former criminals. Part of the task of Muslim communities across the country became working to, mentally at least, "free the captive believer." As Imam WD Mohammed ascended to leadership, prison ministry increased, along with the need to correct many glaring mis-interpretations of the religion, and give a more healthy and accurate picture of the religion to be known as "Al-Islam". In almost every state, Muslims were able to become chaplains, recognized as legitimate authorities in the practice of the faith, often serving as coordinators for chaplains of all faiths. Many began as volunteers, and many volunteers provide needed services today. Masjid Bilal ibn Ra’bah (MBIR) is active in this work. 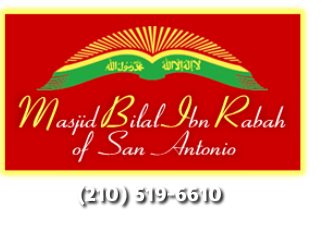 Resident Imam Omar Shakir serves as Area Muslim Chaplain for the Texas Department of Criminal Justice (TDCJ) serving Dominguez, Hondo and other facilities, both men and women. We are looking for those who would like to be participants in the activity of Da'wah ("to invite to Islam") - and serve a vital need in our bloated prison population, many of whom are striving to change their lives.